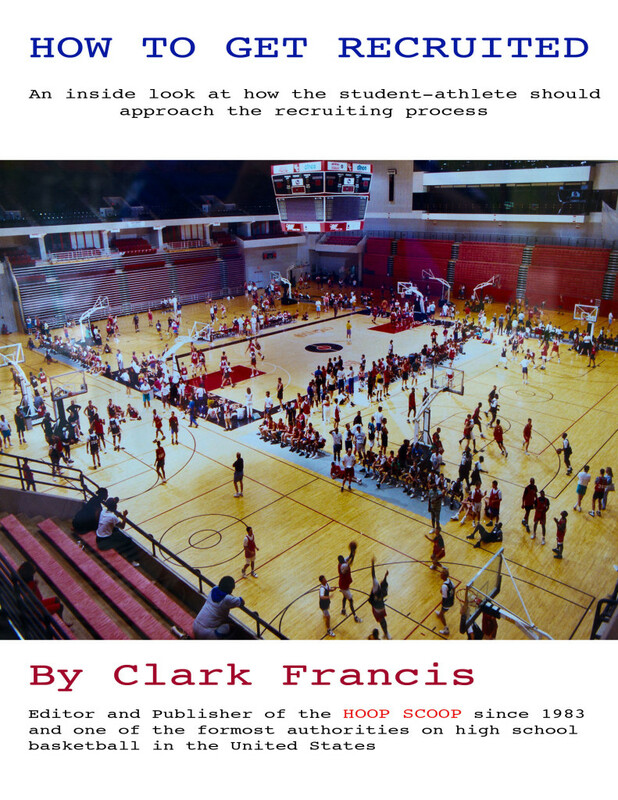 How To Get Recruited is a new book by The HOOP SCOOP Editor & Publisher Clark Francis. The book provides unique insight and perspective with regard to the grass roots basketball recruiting process. It is a must-read for anybody interested in the college basketball recruiting process who wants to make a good college decision. Picking a college or university is one of the most important decisions of your life (who you marry, where you live, and what your job is will be determined more often than not by where you attend college). However, over 40% of the players at the Division I level don't get it right the first time around and end up transferring to another school. This book will help explain why this happens, how the deck is stacked against the student-athlete, provide you with the understanding and knowledge of how the process works, and help you make an intelligent college decision. As Editor & Publisher of the HOOP SCOOP for the last 30 years, I have been in the trenches with the college coaches, seen all of the top players, attended most of the top camps, tournaments, and events, and have witnessed first hand the success and failure of numerous players at every level of the basketball spectrum. And, if that weren't enough, I also have been to every NCAA Final Four since 1973 and have attended 132 consecutive NCAA Final Four games. Obviously this is important, because nobody alive has had this kind of perspective for this long at both the grassroots and college levels. Why Should You Also Get a One-Year Subscription To The Hoop Scoop? Nobody covers grassroots high school basketball like the HOOP SCOOP and via our web site, which can be found at www.hoopscooponline.com, we will keep you up-to-date with regard to recruiting, rankings, all the major events, what is happening in the business, and how it is likely to affect you. We also tell the story in intriguing fashion, are second to none when it comes to ranking both players and recruiting classes, go into more depth than anyone else in the business, and we do not totally ignore middle school players and the youth basketball market, like so much of our competition does. We also provide interesting tidbits, trends and analysis, and insight that you won't find anywhere else. And, this is important, because information and knowledge will help give you the power to help make the best college decision possible. You can download a digital copy of How To Get Recruited as a part of your subscription to The HOOP SCOOP , or individually using the order form below.